On Tuesday, ASUS has launched ZenBook UX330, the latest addition to its ZenBook series. Starting at Rs. 76,990, it comes second to none in its styling and beauty. UX330’s body is crafted out of aluminium with design inspired by the Swish watch and Japanese Zen Garden. This premium ultrabook is available for sale through major online retailers and channel partners in two exclusive colors- Rose Gold and Quartz Gray. Weighing at just 1.2 kgs and a thickness of 13.5 mm makes it one of the lightest and slimmest clamshell 13.3-inch notebook in the world. This laptop steals your heart at a single glance, and its amazingly fast as well. The topmost model comes with a 7thGen Intel Core i processor (i7-7500) coupled with 8GB of high speed 1866MHz memory. You also get to choose from four more variants solely on the basis of processor. 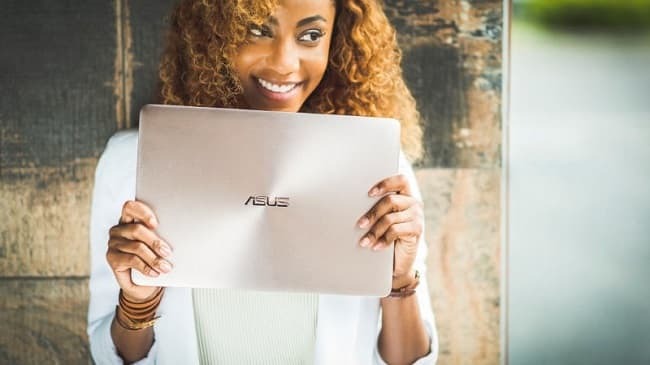 The laptop boasts a high-resolution 13.3-inch QHD+ (3200x1800 pixels) display with ASUS’ own 'Splendid Display Technology' and a battery life of 12 hours. If the claim is true, this battery is surely the best in line and comes with a 2-year global warranty. UX330 comes with ASUS SonicMaster Audio System developed specially for notebooks to deliver the best possible audio. A 512 GB SSD storage is a bit disappointing, but not at all a deal breaker. On connectivity front, you get everything that makes sense on a notebook; USB 3.1 Type-C, Wi-Fi 802.11ac, and Bluetooth 4.1. And yes, it’s a backlit keyboard. During release, ASUS highlighted that audio system of UX330 is tuned by experts from 'Golden Ears' audio team as well as renowned audiophile company, Harman/Kardon to ensure best possible experience in every possible scenario. As mentioned earlier, there are 5 models to choose from. The 2 upper-end models FB089T and FB088T cost Rs. 96,990. Cheapest among all FC082T costs Rs 76,990 and the remaining two, FB132T and FB157T, are available for Rs. 83,990.